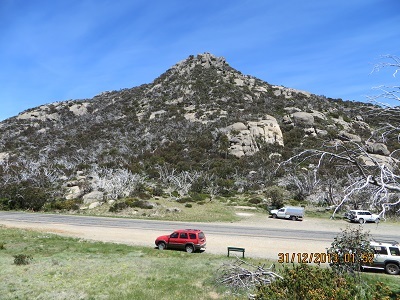 Sota Summit VK3 VE 014 is a special point on the Mt Buffalo plateau: called ‘the Great Granite Plateau’ in the ‘Park Notes’ published by the Victorian Government. Its elevation is 1723 metres and is at the end of a 1.5k track, which the sign board says takes 45 minutes, is a lookout giving spectacular views for 360 degrees. After arriving there I did not think I could safely activate from that point and proceed to look for a suitable location within the activation zone. I eventually set up my gear and called CQ on 7095. I did not get a response and tuned around to find a pretty quiet band. I did hear VK3YSP/p, Joe and VK3FOWL/p, Julie calling from the Lower Goulburn River National Park. They were attracting considerable interest. I joined the queue and after a successful contact with both of them asked Joe to let people know that I would be operating on 7095. 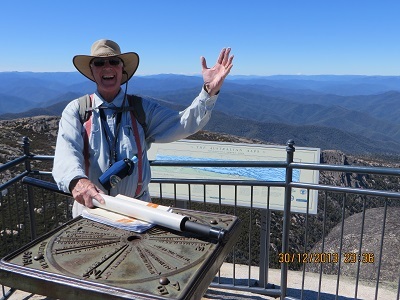 I migrated there and enjoyed contacts with VK3BHE, Phil; VK3FMPB/p, John in the Kinglake National Park, VK3MJB, Tim in the La Trobe Valley and VK3AMB, Bernard. Received signal reports ranged from 5 and 0 to 4 and 3. Six contacts means I have successfully activated this SOTA summit. But it was a difficult activation. While I enjoyed the reasonably difficult climb, the views and speaking to quite a number of people, I thought I might be louder! It was not to be. 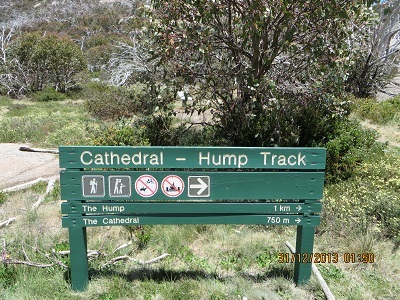 I did propose to activate ‘The Hump’. I found the walk challenging as have some previous SOTA activators. I got quite a way up the track but decided to quit: it was warm and I was tired. My wife Jenny got to the top and she said the last bit was quite tough. I was sorry that I was not able to activate this peak – maybe next time! Perhaps I was being too ambitious? The Hump – Just a mere pile of rocks!